Let's face it, there's not really any reason you need a peaceful home screen. 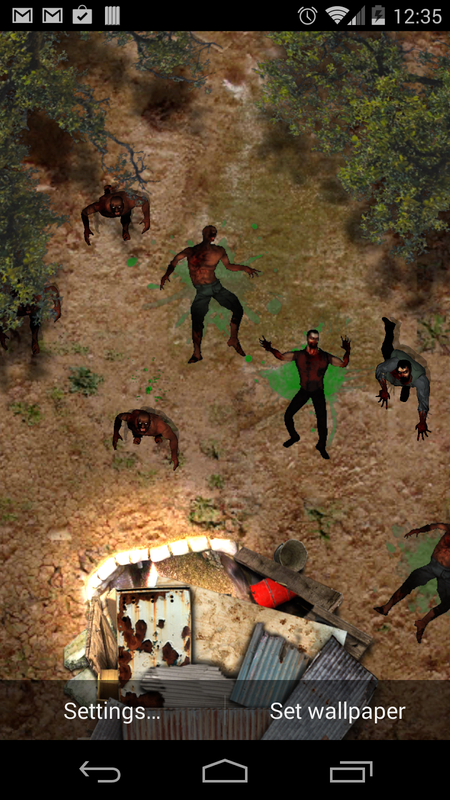 Step out of that narrow niche and into a wondrous world of zombie carnage! Defend the last scraps of humanity as they make a final stand out in the wilderness! Tap on zombies to kill them, or let the folks in the bunker do it for you. Configure the bunker's weaponry, or whether it exists at all! All with lighting that reflects the current time of day. Seriously though, we've been working on this for a while, in particular trying to make sure we could really pile up the blood splats and dead(er) zombies over time. 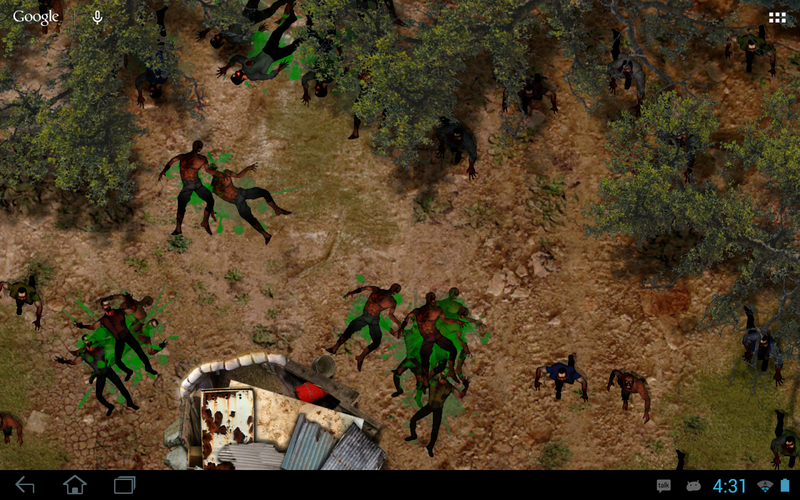 All the deaths are rendered into a single buffer image that's very slowly faded over time, and if you turn the fading low you can end up with literally hundreds of decals and dead zombies over time. By default this is a half-res buffer, but you can check a box for a full-res one in the settings if your device is reasonably quick. The bunker itself is a sort of ramshackle last-stand thing typical of the setting, and we have a few controls letting you choose between rifles, assault weapons, or both. If this does well we can expand that list in the future, but for now it gives you control over close-in shots or farther away ones. You can also arm between 1 and 5 survivors, depending on your mood. Or, well, turn it off and do all the work yourself as you touch the screen.